King Tut or better know as Tutankhamun once ruled Egypt in the eighteenth dynasty. King Tut ruled for only a short period and was given the throne at the age of eight. Although king Tut was not very popular during his time, he remains today as the most famous pharaoh. In hieroglyphic text, a cartouche was used to eternalize the pharaoh's name and came to be used as an amulet. 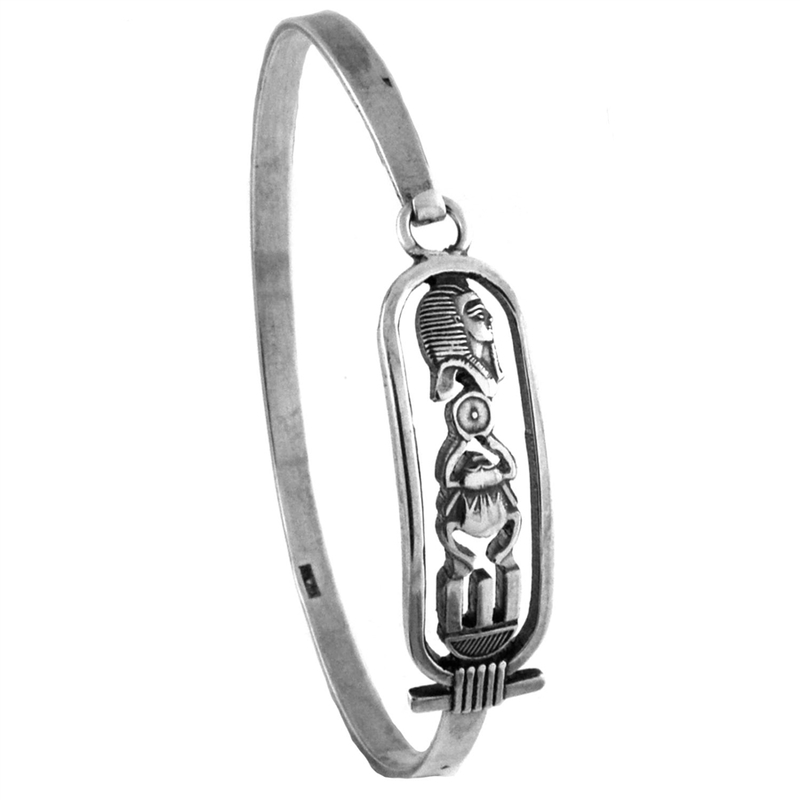 The oval ring that surrounds the name was meant to protect the pharaoh in the afterlife.